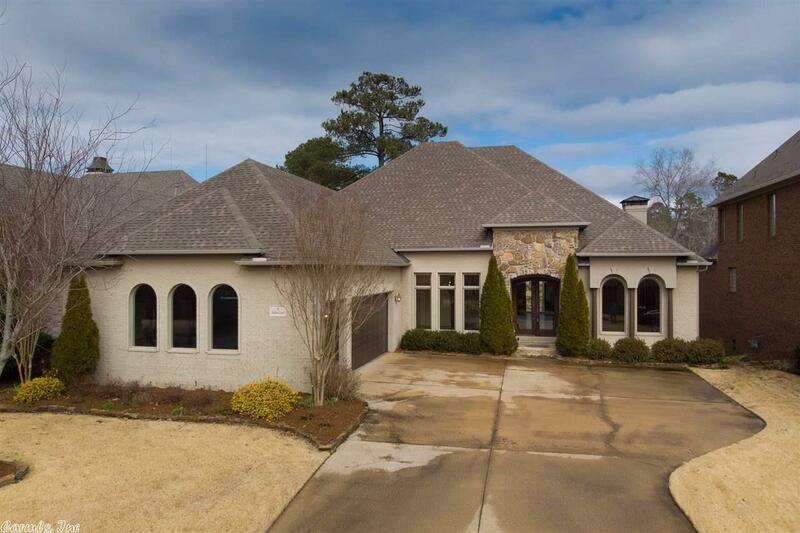 Gorgeous views from the covered patios of this Chenal home on Bear Den Golf Course! Beautiful wood floors on main lvl, handsome wood cabinetry, large stone FP & vaulted beamed ceilings in kitchen & Great Rm. Study/Den w/cabinets & wet bar off Great Rm. Frml Dining. Fabulous cook's kitchen w/tall cabinets, 2 islands, gas cooktop & top of the line SS appl. Walk-in pantry. Fantastic Master Suite, Lndry & Guest suite on main. 2 Guest Bdrms & 2 BA down. Bonus/Game w/kitchen area. Storage! 3 car gar. Come See!